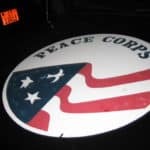 Tomorrow on March 1st, Peace Corps will celebrate its 50th anniversary. What a milestone! There have been a flurry of activities to share experiences. It’s really incredible when you hear stories of the men and women that served in the early 1960’s. Peace Corps Cameroon has had its own share of activities. One of the RPCVs created an email list to reconnect volunteers who may not be as up with the technology. In just a few days, there are over 200 volunteers who share their PC experience in Cameroon, and that number is still growing. I love being a part of the Peace Corps family! I’ve been back for 7 months now. 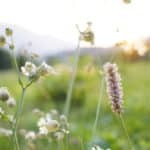 The more I try to move on to the new phase of my life, the more I find myself wanting to hold on to my service and share the experience with others. I think it takes being back to really cherish those two years. Everyday, I appreciate that time of my life a little more. So, in honor of this big milestone, I have created a short 5-minute video to sum up my experience. It’s much shorter than the previous one that I posted. That one was much more personal, but this one highlights on the experience. 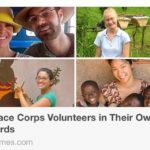 Does the world still need Peace Corps? Great pictures, great story, great job in here, GREAT BLOG, you’ve got all my CONGRATULATIONS and maximum respect, Robert from Ploiesti, Romania, Europe, Earth !! !